Are you ready to start decorating for Christmas? 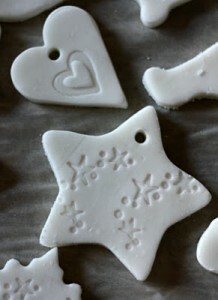 Gather the kids in the kitchen and try making these beautiful clay ornaments! Head on over to The Woodside Kitchen for the complete recipe!